Apple Agrees To Hand Out $100 Million In iTunes Credits To Settle Lawsuit : The Two-Way The lawsuit alleged Apple allowed children to make in-app purchases without the consent of an adult. 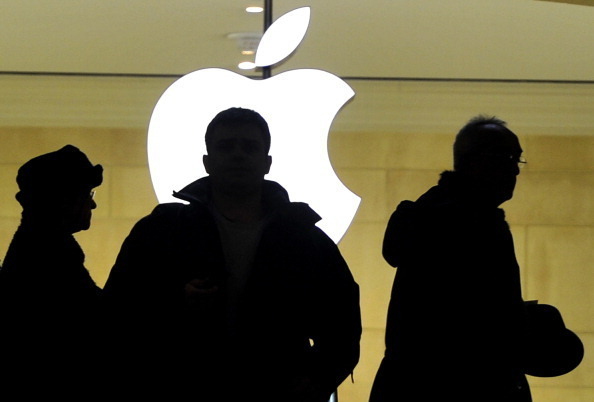 Apple has agreed to give $5 of iTunes credit to about 23 million customers. People walk past the Apple logo at the Apple Store at Grand Central Terminal in New York. Apple has agreed to give out more than $100 million in iTunes store credits to settle a lawsuit that alleged it was allowing children to make in-app purchases without the consent of their parents. "The lawsuit, which was filed by five parents two years ago, alleged that Apple did not create parental controls to keep children from buying extra features sold within a video games app. The parents who filed the lawsuit said they didn't realize their children were charging their accounts until they were billed. Some of the games were designed for children as young as 4 years old. "'Apple failed to adequately disclose that third-party game apps, largely available for free and rated as containing content suitable for children, contained the ability to make in-app purchases,' the lawsuit alleged, according to a report by Reuters. "In the settlement, Apple agreed to give $5 of iTunes store credit to about 23 million affected customers. Apple will also pay cash refunds to customers seeking $30 or more from the company, according to the Associated Press." The New York Times reports that Apple has already made in-app purchases more difficult. Before, children or adults could make in-app purchases without entering a password up to 15 minutes after the app was purchased. Now, a password is required even if someone just bought the app.